Hello World. – Making sense of an interconnected world. Together. Burnaby students are getting ready for you. Students will take on the world, at least one of the world’s issues, this Thursday, October 22nd. 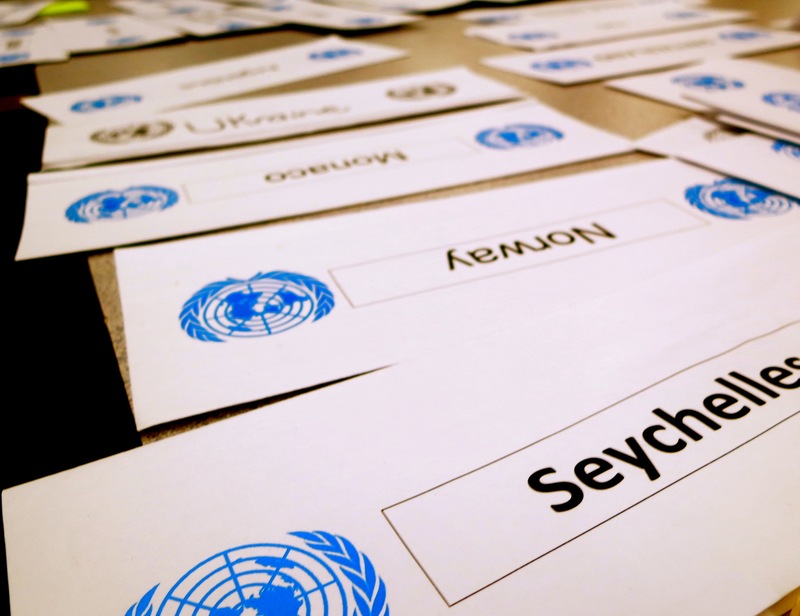 From the standpoint of a United Nations member state, every participant in this year’s first Model UN Clinic will rethink climate change and come up with solutions that the entire international community might accept, learning at the same time professional and collaborative ways to do so. 193 nations, 193 perspectives. Model UN (MUN) involvement stretches students to challenge their own views, to comprehend the potential positions of others and to give and take in order to solve issues we, as world citizens, face. The Burnaby School District is seeing a growth in the involvement of high school students on the MUN scene. Five MUN clubs exist this year with planned attendance at various day- and weekend-long MUN conferences, with, for the first time, intra-school practice and debate planned. Preparation for and completion of MUN conferences is extensive. Students start by joining a UN committee, representing one nation. After comprehensive research, students often spend up to 3 days collaboratively fine-tuning a proposal to solve the issue or crisis presented to them. Students compete for awards given for excellent participation and position papers, making MUN participation a great way to build on a university portfolio. Model United Nations development is truly one of the best methods to ensure that millennial youth are ready for the world. They will need to be. The world is waiting for them to bring the knowledge and skills they are honing to the table, and put plans in action to solve issues like climate change, once and for all. The Model United Nations Clinic will be hosted by the United Nations Connections club this Thursday at Burnaby Central beginning at 4pm.